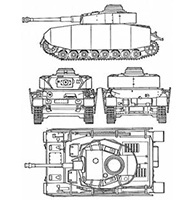 The Panzer IV is an old and trusted design. Its origins date back to before the war had even begun. Fitted with what can be considered a less than ideal armor, but with a pretty effective main gun, it can still challenge the T-34 or Sherman to a fight as long as it does not get shot. 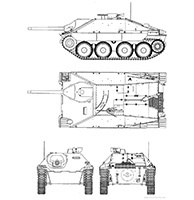 Although many of them are still in Kragen’s armies they are slowly being phased out and are being replaced by the Panthers and Jagdpanzers 4. The PZ II is an old and outdated tank. It was used as Germany’s primary tank from the beginning of the war in 1939 all the way to 1945 when it was replaced by the bigger and better armed Panzer III. It is a surprise that this tank is still produced, which is due to the fact that it is cheap and can be produced in quite a number of factories. After the 1950s the production of this tank was limited to only around 50 a year to replace some of the losses and the ones that broke down. At the end of the 1950s this tank was pulled back from front line service and army service in general and was put to use as a police support tank. It fulfilled this role well as it had light armor, but still thick enough for MGSs and rifles to penetrate it; it also had a rapid 20mm firing cannon which was great for suppressing the partisan forces that it was meant to fight as a police tank. 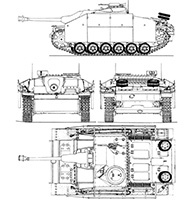 The Kugelblitz is a modified Panzer 4S chassis. By adding a ball turret, similar to one that can be found on a bomber, the two MK 103’s 30mm auto cannons, the 4th Reich has created one of the most compact and easy to build mobile AA platforms. Featuring a great rate of fire and the powerful 30mm ammo, this AA tank can take on any ground attacker. As the Stug III G takes its hull from the old outdated Panzer III, so the Jagdpanzer IV 1/70 takes its hull from the Panzer IV. Featuring thicker and sloped armor, the Jagdpanzer IV can bounce shots from all medium and even some heavy allied tanks, something the Panzer IV could only dream of. The gun was also improved by replacing the old 75mm with the same gun that the Panther has, thus giving the Jagdpanzer IV exceptional firepower compared to that of the Panzer IV. All these upgrades and changes give it quite a lot of extra weight making it slower and a pain to push over difficult terrain. But it makes up for it by being an excellent mobile AT gun and tank hunter whose parts can be taken from the older Panzer IV models still in service. A true beast in the form of a medium tank, the Panther is one of the most feared German tanks out there as its armor and gun can outgun any allied medium tank and it is still fast enough that does not need to worry about an enemy tank outflanking it. Its powerful 75mm gun does not have the range of Tiger 1’s gun, but it has more velocity, meaning that the Panther could take on even heavy tanks like the IS-2 and Pershing tank and still come out victorious. Its front armor is sloped at a high angle making it as good enough as, or even better than, the front armor of a Tiger 1. Its biggest weakness is its weak side and top armor giving the allied attack aircraft and good allied tank commanders the chance to take it from the top or side. Upon finding that the Tiger II was not fast enough but carried a good punch, this new tank was designed. 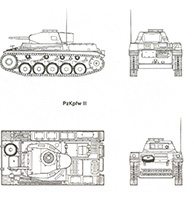 The Panther II is actually exactly what one would expect, a larger Panther with better armor and the same 88mm gun as that of the Tiger II. The tank is an excellent combat vehicle and has no problem facing even larger allied opponents, like the Pershing or the IS-3, due to its powerful gun and excellent speed for such a large tank. Super Panther is a name given by the allies to any panther tank, which has been extensively modified and fitted with a new turret and longer gun barrel. Old but still a mighty foe, the Tiger 1E was one of the most famous German-made tanks of all time as it was the first of its kind. A big armored box with a huge cannon and low speed, it was the first true heavy tank. When they saw it for the first time in the field in 1952, the allies did not know what to use against this massive new opponent. Although its golden age has passed, it still holds a lot of potential under its belt. 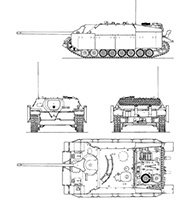 Its greatest weakness is its low speed and quite an outdated armor layout, very similar to that of the Panzer IV. 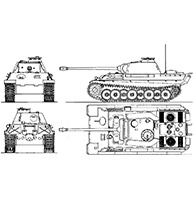 This makes it a great gun platform but not one that can be shot up a lot by larger tanks like the IS-2, IS-3 or the centurion, unlike its larger brother the Tiger II which can take a beating from any of these tanks and still strike back with more than enough power to wipe them off the face of the Earth. 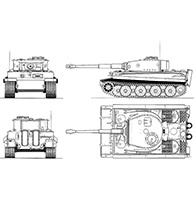 Tiger 1E is now being replaced by Tiger II in almost all units, but they are still present on the field from time to time and still strike fear in the heart of allied tankers. The biggest and the heaviest tracked land vehicle ever to be produced in large numbers, the Jagdtiger is the true king of kings when it comes to raw firepower and the best of German cold hard steel. With enough armor to bounce any cannon in existence mounted to a tank and cannon powerful enough to destroy any tank from almost any range, the Jagdtiger is an unstoppable super tank destroyer. Its only weakness and its only enemy can come from the air as its top armor is not strong enough to resist an onslaught from the allied jumbo fighter-bombers, while its large hull and high box profile makes it hard to miss even to a novice pilot. Because of its extremely low speed, there is little chance it will get away in time if an allied aircraft spots it. One of the smallest tank destroyers still in service, the Hetzer can be a big threat if camouflaged in a tree line or dense bushes. Its low profile makes it impossible to see before it is too late to react. Thanks to its sloped armor and powerful 75mm cannon, it can stand toe to toe with any medium tank in the war. 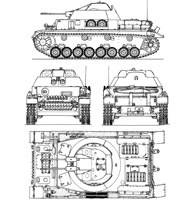 Stug III is a revolutionary vehicle because it takes the hull of the old Panzer III, which is not used anymore, and turns it into something that is armored even better than the Panzer IV. With good armor and a low profile, it can hide and strike at the right time. It also makes it a great infantry support tank and transport tank as it has a large flat hull where the infantry can be stationed. 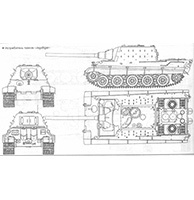 Stug IV has the same design and concept, but it takes the hull of Panzer IV. 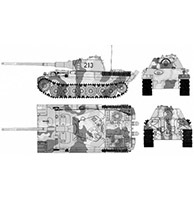 Stug IV is now out of production because Jagdpanzer IV (v) is taking its place on the production line. 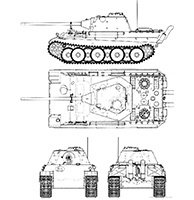 Incredibly, Stug III still remains in production to this day with more than 80.000 produced units.